RSS Feeds Setup and Subscription :: Movable Type Extra Facilities :: PRO IT Service S.R.L. - Choose a professional and accessible service for your online image! As an experienced Movable Type Consultant, I am interested in making sure my customers sites properly indexed with major search engines and quickly achieve a high ranking on the search results pages. On the other hand I am interested on supporting their visitors automatically notified each time a new article is published on my customers Web sites. Everything starts with the RSS Feeds. The RSS and Atom Feeds are automatically generated XML files that contain an excerpt or the whole content of the weblog articles. To avoid sending old entries to search engines, RSS directories and visitors the RSS feeds contain the most recent 10, 15 or whatever number of articles you would like to feature on the feed. In other words each time you publish an article, your RSS feed(s) is being re-generated to reflect your new article. 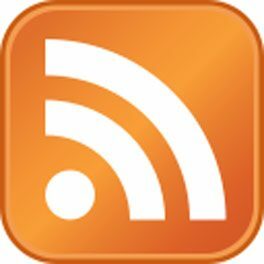 We are setting up for your RSS feeds in any or all of the following formats: RSS v0.91, RDF v1.0, RSS v2.0, Atom v0.3 and Atom v1.0. Apart from this service, you may be interested also on a premium service, which consists of manually submitting your RSS Feed to over 200 RSS search engines and directories. Subscribing to these search engines and directories will boost your Web site ranking and bring targeted traffic to your Web site. Have you got a question? Address it directly using our Live Support strip here below, complete our free quote form further down on this page or send us a note from our Contact page.